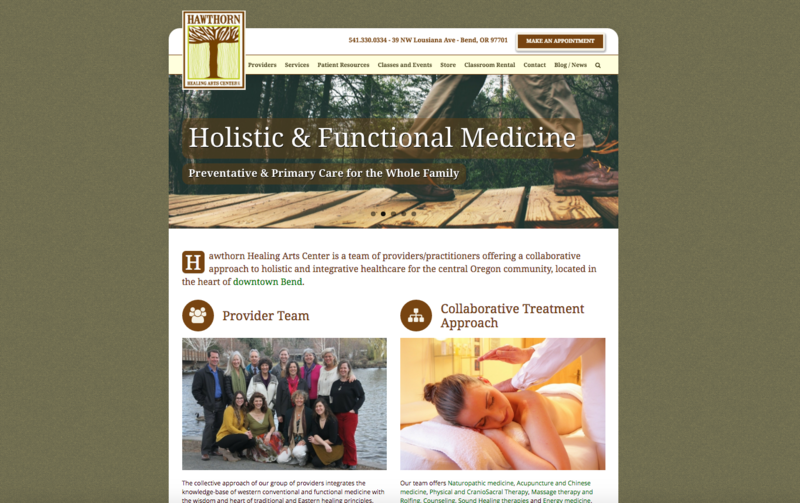 Hawthorn Healing Arts Center in Bend, Oregon already had lots of content on their naturopathic website, thanks to hosting many regular events. Even though they had plenty of posts and pages, there was no unified content strategy, and they weren’t ranking as highly as they wanted in the search engines. When I asked Dr Joshua Phillips what he wanted in a website redesign, he said he wanted it to look beautiful and professional, with a big bold homepage slider, and most importantly, it needed to look good on mobile devices. Having a great looking website doesn’t help someone on an iPhone, if they see only a little sliver of your design. When a layout is programmed to change based on the width of the user’s screen, that is called a responsive website design. You can see what a responsive web design looks like, right now. If you are on a desktop or laptop, take your mouse over to the right side of your browser window, just past the scrollbar. Click the edge of your browser, and drag it to the left. As this page’s width changes, the layout of the content and images automatically change with it. This is what is meant by a responsive website – it responds to the width, and changes in width. If you are reading this on a tablet or a phone, rotate your device 90˚, and you will see a modified layout. All of the websites created by Wellness Website Design are responsive, and look great on any device. Hawthorncenter.com had a WordPress plugin called Yoast, but had no idea how to use it. Yoast SEO is a great plugin. It allows you to modify your page title and meta description for every page, in a convenient little box below the WordPress post entry box. We trained the staff of Hawthorn Wellness Center in how to use the controls, and gave them a list of keywords to target in their content. The big job here was modifying all the existing page titles and descriptions. We went through their directory of pages and their archive of posts, and optimized each one individually for specific keyword sets. 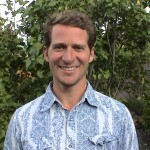 “Throughout the entire process of updating and re-designing our website, I was thoroughly impressed with Caelan’s work. He was consistently available once weekly for a phone conference to discuss ideas and progress, and was always available to field any questions I had. He also offered a lot of creative suggestions for the website design, and coaching and guidance for future ideas I have for our business growth, as it relates to our website. His willingness to offer further training to myself and my assistant for continued content updates to out site was a very nice bonus.